Music Rest Placement – Only 1 Correct Answer? 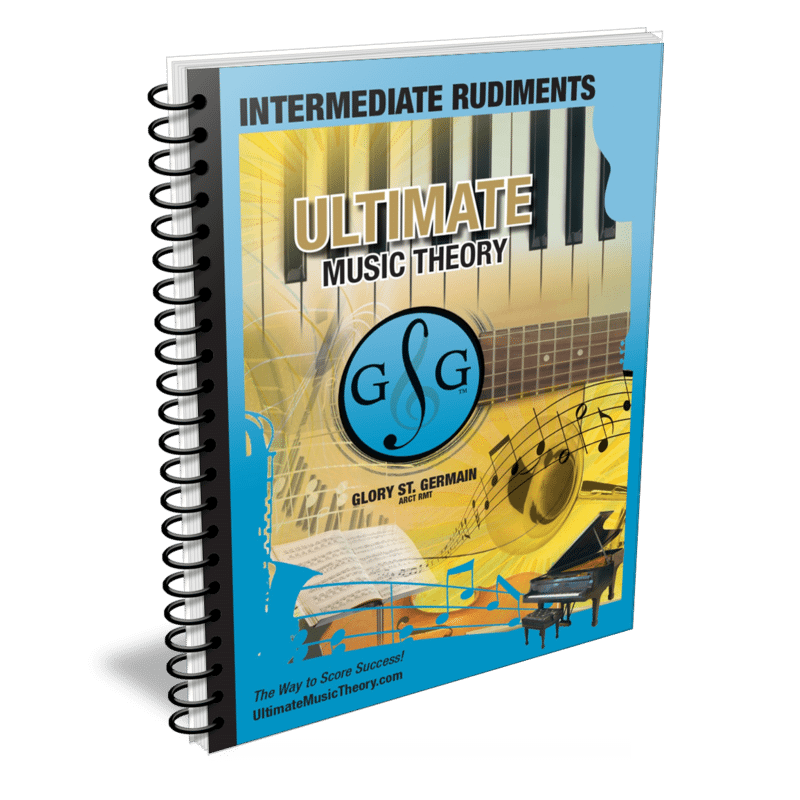 Let’s take a look at the Intermediate Rudiments Workbook Page 120 #4. There are 5 parts to this question. For 3 of them, there is only 1 possible correct answer. For 2 of them, there are more than 1 possible correct answer. Can you guess which ones have more than 1 possible correct answer? Okay – don’t “guess” – grab your pencil and figure it out! You can write them out on your Whiteboard or download Staff Worksheets and work through each question. Don’t peak at the answer below until you have tried to come up with a second correct answer to each rest placement question. 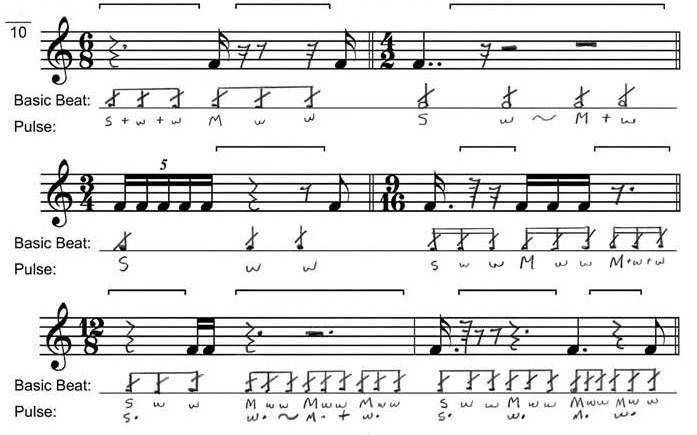 Write the BASIC BEAT and the PULSE below each measure. Add rests below each bracket to complete the measure. Cross off the Basic Beat as each beat is completed. Scoop each beat. Write the Basic Beat below each scoop. Write the Pulse below each Basic Beat. If you discovered that the 2nd, 3rd and 4th Time Signatures have only one correct answer and that the 1st (6/8) Time Signature and 5th (12/8) Time Signature have more than one correct answer, you would be correct. Pat yourself on the back! Give yourself a high 5! Or treat yourself to a piece of chocolate. Let’s see if you figured out the other options for these two questions. The correct music rest placement answer for the first 6/8 Time Signature measure, can be any one of the following: The first measure is the one that we chose to write in the Answer Book. 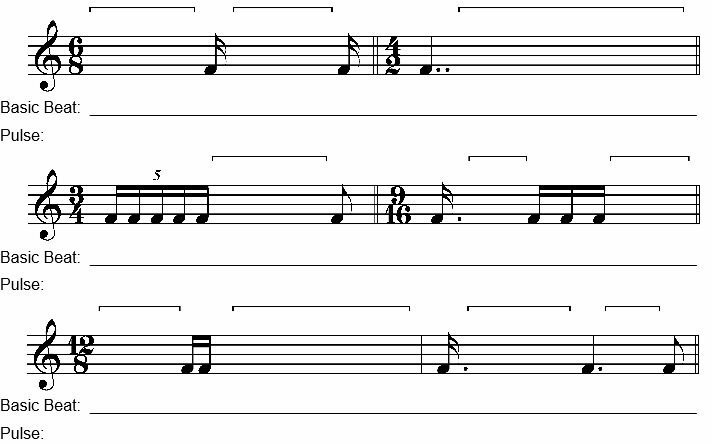 However, any of the four options shown above would be marked as having correct music rest placement. Why did we chose the answer that we used in the answer book? No reason other than it was the first answer that “fit” the spacing that we gave to add the rests. Could we have used one of the other answers? Yes. The correct music rest placement answer for the last 12/8 Time Signature in this question, can be one of the following: There are often many possible options for answers when it comes to the questions that involve adding rests. We have given you one possible answer or, in some cases, the one and only possible answer. If your student has another option, check their Scoops, Basic Beats and Pulses – does their answer work? It just might. 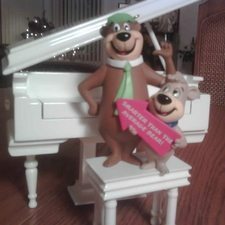 So what do Yogi and Boo-Boo have to do with Music Rest Placement? Well... when we sent our Ultimate Music Theory Workbooks and Answer Books to be printed, they had been reviewed at least a dozen times by both Glory and myself. Unfortunately we still made some boo-boos. Sorry! Our nick-names for each other are Yogi and Boo-Boo. And guess who Boo-Boo is? Yup, me – on our first round of editing, I made so many Boo-Boos, calling me “Boo-Boo” became our little joke. Please download the current Errata Pages and make the appropriate corrections in your Workbooks and Answer Books. If you have another option for a correct music rest placement and you are not 100% sure that it is correct, please share it below. Sometimes it just feels nice to have another teacher say “Yes, that works too”. 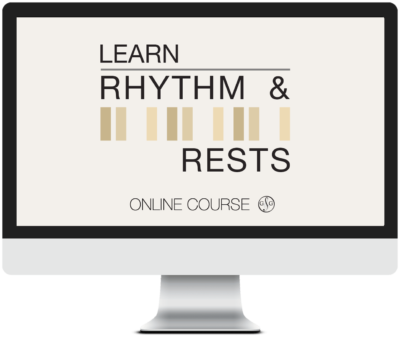 The Learn Rhythm & Rests Online Course is a Step-by-Step System on how to use 4 Effective Ways to Learn Rhythm using the innovative UMT Rhythm & Rests Method.